Courtesy of Keller Williams Realty/P B. NEW SE Point lot Home on a Premier Quiet Street AKA The Best Lot in Lighthouse Point. 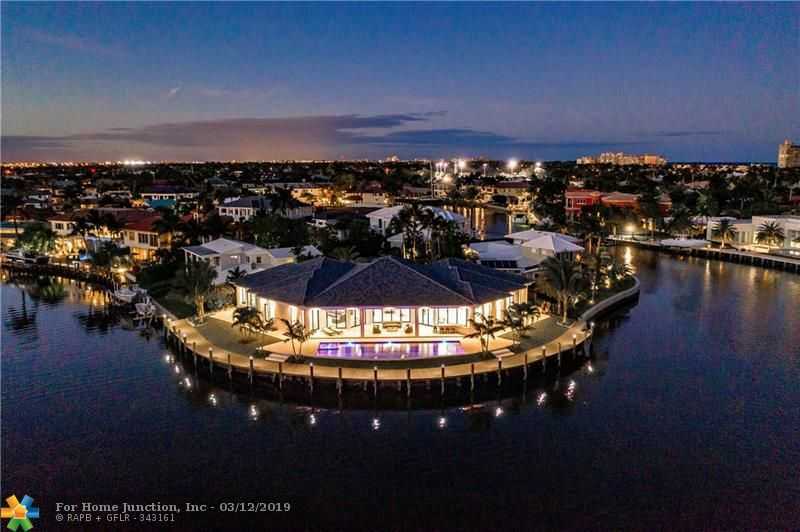 Bring your Yacht to this Resort Style Coastal Contemporary Home on 240′ Dockage w/panoramic Water Views.Hurricane Built & Minutes to Hillsboro Inlet.This Spacious Home Complete W/ 10′ High Impact Sliding Glass Doors Opening to a 60′ Long Covered Loggia w/ full Outdoor Kitchen & Gas BBQ. Ensuite Bedrooms W/ Slider Leading to their Own Private Patios. Hardwired Alarm, Built in Sound System, Camera System & HD TV Wiring. Full Home Generator & Hybrid Water Hater. Custom High-End Kitchen Cabinetry W/ Wolf & Subzero Appliances,Formal Casual Dining Areas. 54′ Long Smart Technology Resort Style Salt-Water Lap Pool W/Sunken Spa& Full-Length Sun Shelf.4CG, Clubroom W Full Service Sit Down Bar & 2 Wine Coolers. Directions: I95 to Copans road east, left on US1, right on NE 24th Street, veer left to NE 22nd ave, veer left to NE 23rd ave (Lighthouse Drive), Right on 31st court to end.